ADVANTUS-Tim Holtz Idea-Ology Muse Tokens. 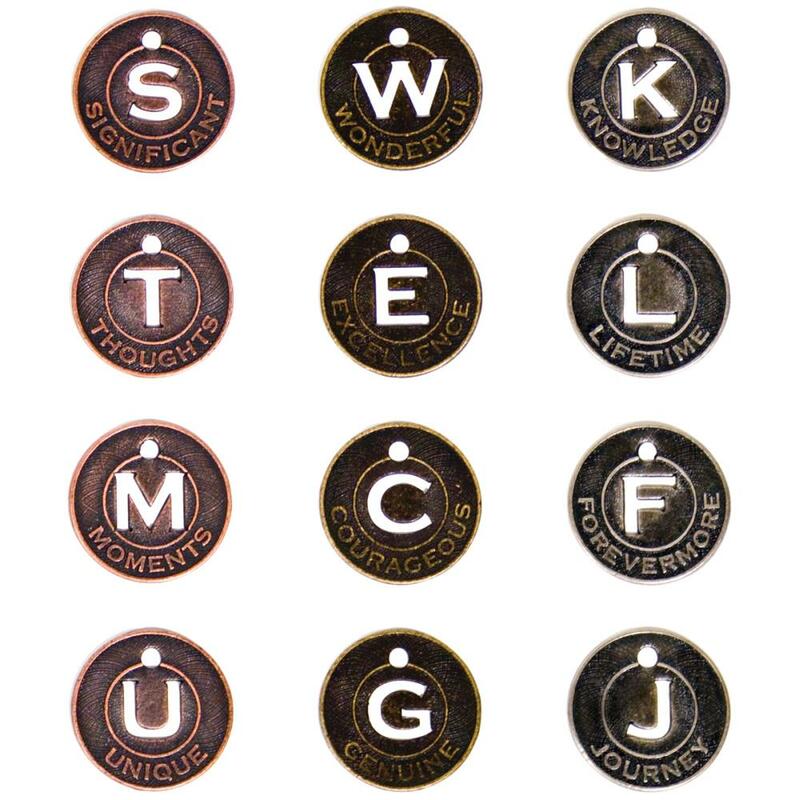 These tokens are 7/8in and each is stamped with a word: Genuine, Knowledge, Thoughts, Courageous, Lifetime, Moments, Wonderful, Forevermore, Unique, Excellence, Journey and Significant. Twelve tokens in all. A great way to dress up your projects.